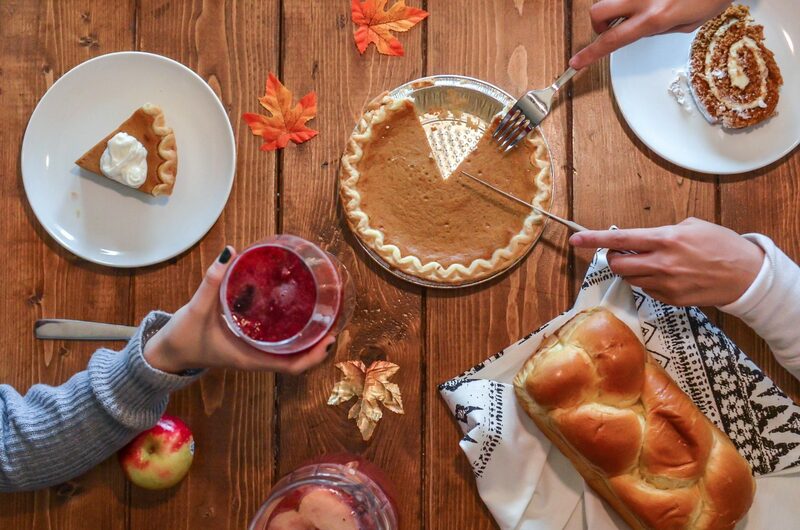 Thanksgiving — one of the most family-centric holidays — is often the time when you realize your engagement isn’t just a shiny diamond ring and a good-looking fiancé. While those things are nice, it is much more than that — it’s a time to prepare for the joining of two families and communities. The Norman Rockwell version of Thanksgiving conjures up images of a glistening roasted turkey, beautiful side dishes, and a perfectly set table. But underneath the yummy food and lovely table settings are family dynamics that can be wonderful…or can be rather difficult to handle. Here are some tips to help newly-engaged couples navigate their first family holiday together and help set the stage for their upcoming wedding. Arriving at your in-laws’ home for Thanksgiving with a smile on your face really sets the tone for the day. People tend to respond better to others who are positive and loving. It’s important to let your future in-laws know that you’re really happy to be spending the holiday with them and to become a member of their family. Offer to make something to bring to the meal — perhaps a side dish or dessert. Your future in-laws will be thrilled to see you pitching in. You could also help by clearing the table or doing the dishes. On the other hand, don’t go overboard trying to do so much that it makes them feel uncomfortable. Others in the family will want to contribute as well. 4. Try to learn about the dynamics of the family in advance. That way, you’ll better understand what’s really going on and who has an underlying agenda. It’s best not to get involved in heated debates or discussions, even if this is typical for your fiancé’s family. A good rule of thumb for the holidays (or for any dinner party for that matter) is to keep the discussion friendly, light, and pleasant. And always try to remain civil even if some sparks fly. Basically, if someone acts up or says something provocative, don’t take the bait and engage.